Parking Signage is essential to any property or parking lot, to help you facilitate traffic around your property and parking lots area. 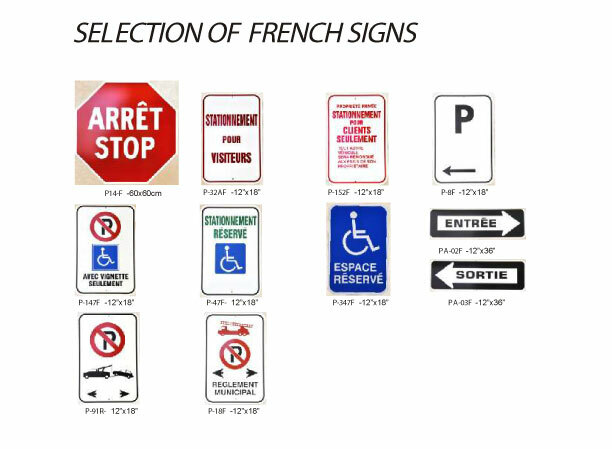 View samples of our Parking Lot Signs in English and French below. Our Aluminum Parking Signage is highly durable, rustproof and 100% weatherproof. Always thorough. 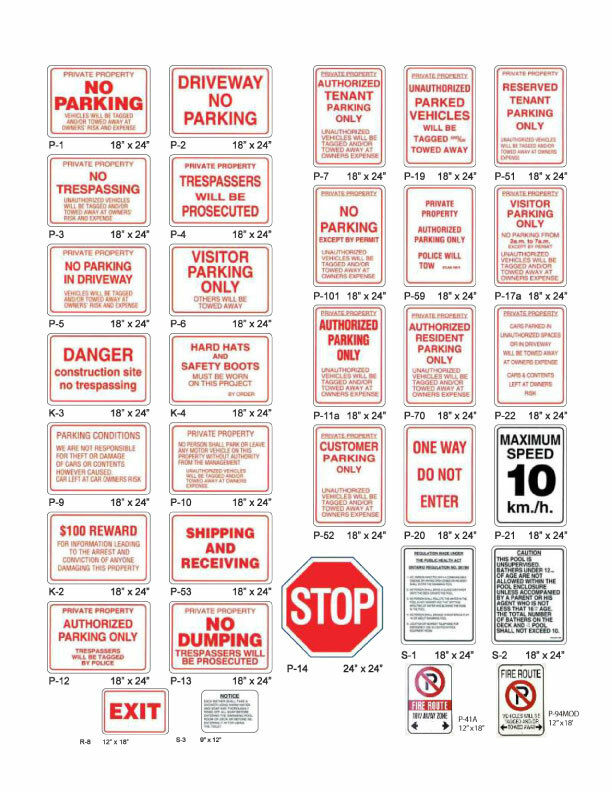 We only create parking signage that complies with Canadian and American parking regulations and bylaws. Our road signs are in accordance with standards mandated by the Ministries of Transportation & Department of Motor Vehicles in the U.S. and Canada. Long lasting. Every sign we produce is legible in bad weather or low light conditions and built to last. Don’t hesitate to contact us with your questions! We’d love to help you choose the perfect Parking Signage for your property. Don’t forget to contact us for more. We can also make Custom Aluminum Metal Signs, Custom Reflective Signs, Transparent Vinyl Signs, Traffic Signs, and Parking Stencils for you or your business.